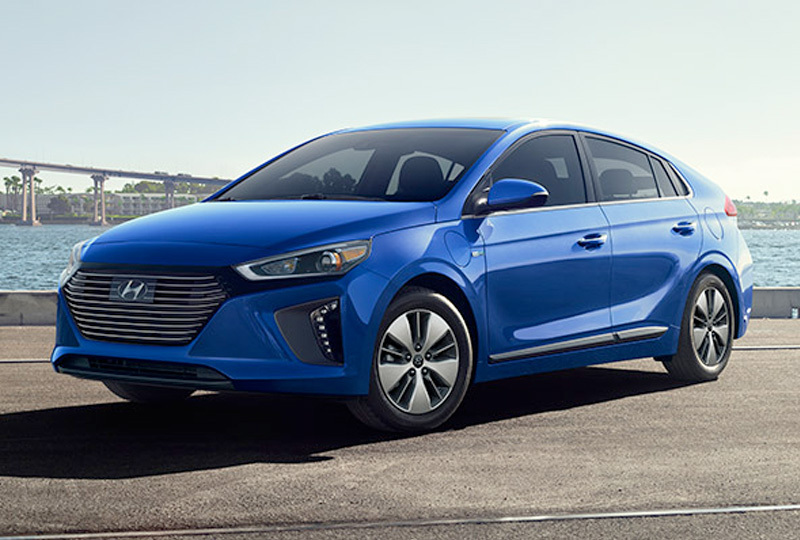 The 2018 Hyundai Ioniq Plug-In Hybrid from Westside Hyundai in Jacksonville, FL, serving Orange Park and St. Augustine, is a capable sedan with a powerful hybrid system designed to maximize your driving potential. The sleek profile looks sharp from every angle with chiseled surfaces and elegant curves. As you approach the vehicle, a special door light appears guiding you to the handle with ease. Take your seat inside the refined cabin that offers superior comfort with premium cloth-trimmed seats. Turn on your vehicle to experience the combined power of the 1.6L 4-cylinder engine and permanent magnet motor. Store your groceries or shopping bags in the cargo hold, and easily extend your carrying capacity with a standard, 60/40 split-folding rear seatback. 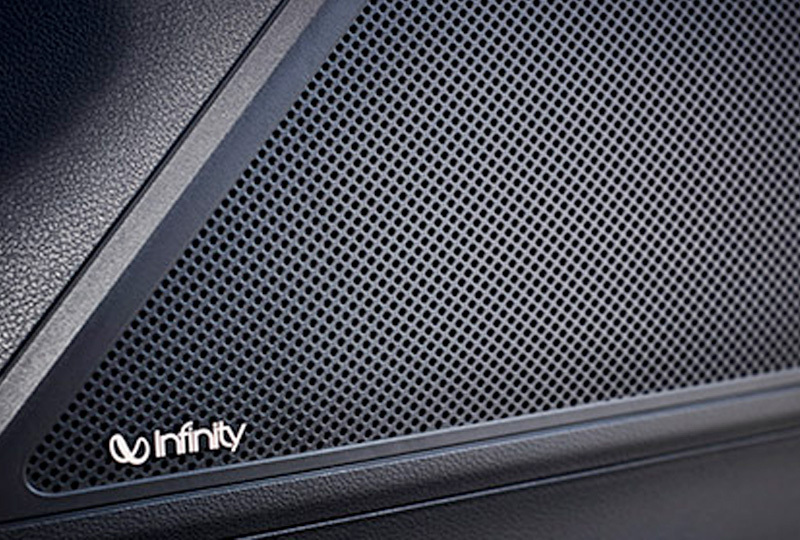 Load your soundtrack of choice with the 7-inch audio display system that includes Apple CarPlay and Android Auto smartphone connectivity. Choose to back into a space rather than pull forward, thanks to the standard rear vision camera. Quickly lock your door as you step away with the proximity key that also works with your standard push-button ignition. Now is the best time to buy a new Hyundai! We have an amazing selection of 2018 models at incredible savings, and new auto loan rates have never been lower. Take a test drive today to experience all that Hyundai has to offer. Come by our dealership located at 1672 Cassat Avenue, Jacksonville, FL 32210. 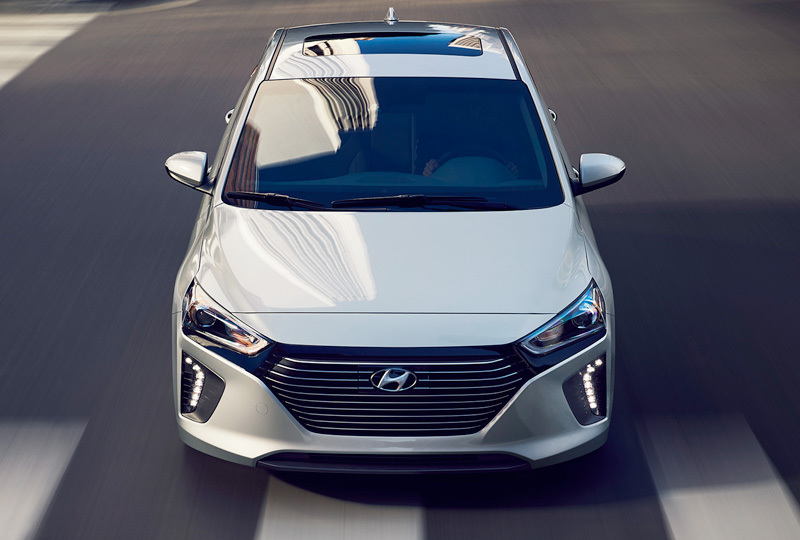 We can't wait to see you in the 2018 Hyundai Ioniq Plug-In Hybrid of your dreams! Space creates a sense of well-being. Its efficient design offers room for passengers and cargo with more interior volume than Toyota Prius, Chevy Volt and Nissan Leaf. *2018 Ioniq Plug-in Hybrid. Up to 29-mile all-electric range based on a fully charged battery pack with 8.9 kWh capacity and 119 MPGe. MPGe is the EPA-equivalent measure of gasoline fuel efficiency for electric-mode operation. 52 Combined MPG (gas). All figures are EPA estimates and for comparison purposes only. Actual range and mileage will vary with options, driving conditions and habits, vehicle and battery's condition and other factors. MSRP excludes freight charges, tax, title, and license fees. Freight charges and actual dealer prices may vary. Vehicles displayed may contain optional equipment at additional cost.